Leonov and crew of Soyuz TM-12, just before the crew flew from Moscow to the Baikonur Cosmodrome, Kazakhstan. 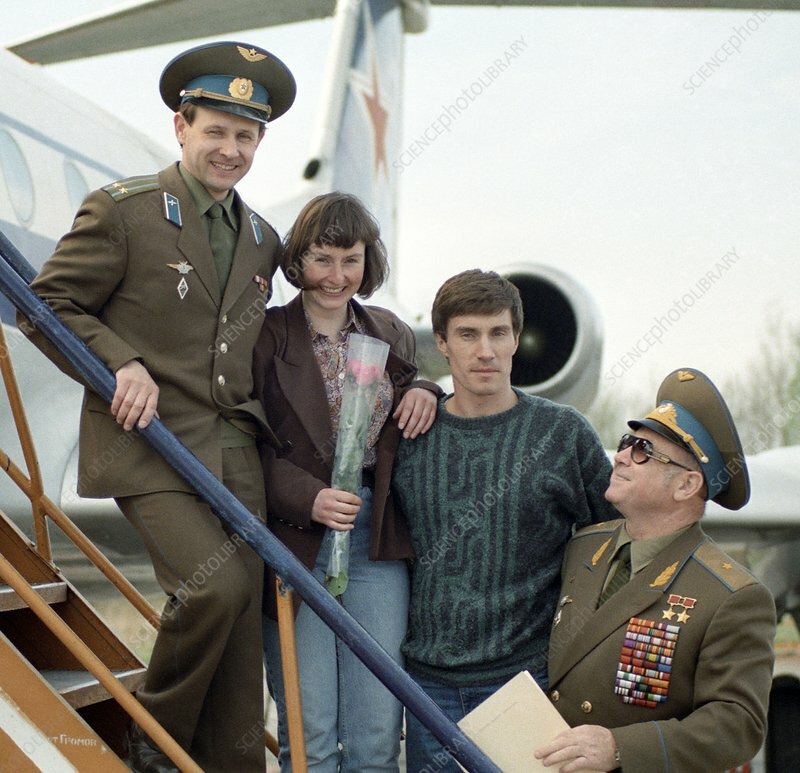 The crew (left to right) are: Anatoly Artsibarsky, Helen Sharman and Sergei Krikalev. At bottom right, former cosmonaut Alexei Leonov is present in his role as director of cosmonaut training at Moscow's 'Star City'. Soyuz TM-12 was launched on 18 May 1991. Sharman was the first British person in space, spending seven days in the Mir space station. She was selected from 13,000 applicants to the joint UK-Russian Project Juno. Photographed on 30 April 1991.